Whether they like it or not, hospitals today can’t solely measure success by properly treating patients according to established standards of care. 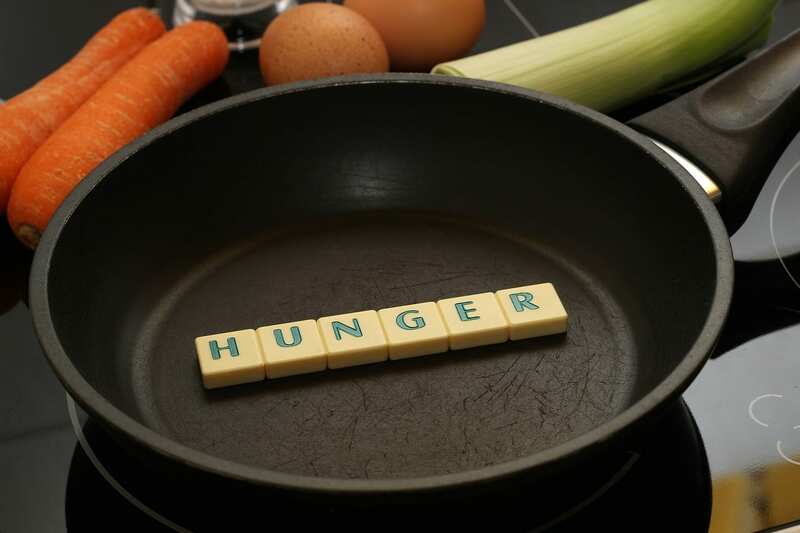 Moving a patient through surgery to recovery with no complications or hospital-borne bugs, for example, is only part of the equation in the eyes of the government agencies holding the purse strings for critical Medicare and Medicaid reimbursement dollars. Now, patience experience also matters – and hospitals must wrangle with age-old cultural tensions to avoid getting hit where it hurts. To avoid penalties and bring in maximum federal reimbursement funds, hospitals since 2013 have had to show high marks in evidence-based standards of clinical care and the Hospital Consumer of Healthcare Providers and Systems, or HCAHPS, survey. This survey measures patients’ experience, driven largely by how they grade their interaction with physicians and nurses. Pressure is mounting, as reimbursement penalties are set to potentially double next year if hospitals don’t show improvement on clinical care and patient experience under terms of Obamacare, the Patient Protection and Affordable Care Act passed in 2010. 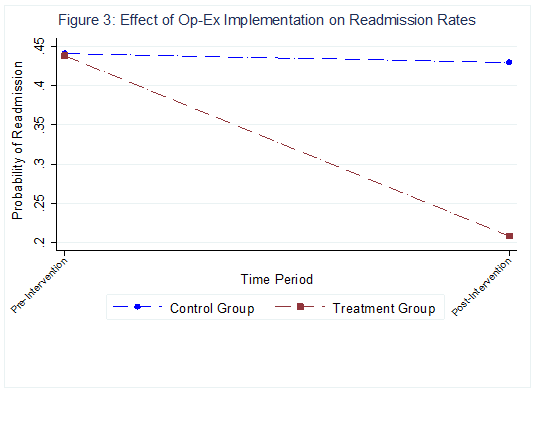 In addition to these penalties, we also find that improving both these dimensions can actually reduce the occurrence of 30-day readmission rates1. Physicians greet this newfound emphasis on patient experience with skepticism at best and outright resentment at worse, largely due to the subjective nature of the HCAHPS survey. This, however, perfectly illustrates the challenge therein: It’s difficult to simultaneously improve these two measures in a notoriously hierarchical culture where doctors focus relentlessly on disease and nurses fear challenging them, even while carrying the torch as the patient advocate. Luckily, it’s possible, and our forthcoming research2 points to key measures that can drive the culture change needed to make it happen. These findings come five distinct case studies that involve more than 50 interviews we conducted at five large acute-care hospitals. This was paired with data drawn from more than 3,000 hospitals from 2006-12, before and after Obamacare kicked in. Strikingly obvious is the sheer difficulty of improving clinical care and patient experience without trade-offs (also evidenced in a different study3 conducted in 2012). 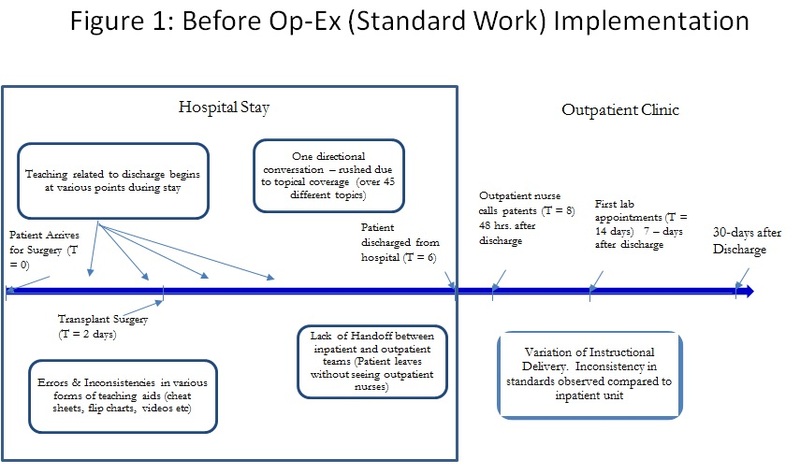 Clinical care is comparably easier to operationalize and roll out through top-down directives: keep quality consistent, keep patients safe, and keep variation during care delivery minimal. The problem? These directives can make little room for the customized patient care in nurses’ hands. 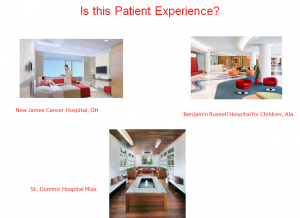 At the same time, providing a patient with a Ritz Carlton-quality experience means nothing if it interferes with doctors working to keep them alive and well. A winning strategy a number of hospitals are beginning to adopt, we found, starts with clinching “Magnet” hospital status through the American Nurses Credentialing Center (ANCC). 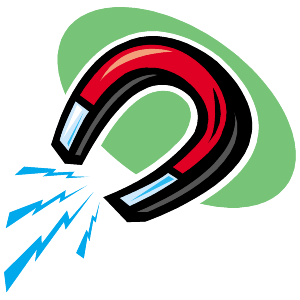 Its Magnet Recognition Program® is the stamp of a high-quality program, denoting they are involved in decision making from the highest strategic levels to the patient’s bedside. The presence of this “bottom-up” decision making, we found, is a crucial factor in hospitals’ ability to improve on “hard,” evidence-based patient care and the “soft” patient experience side. 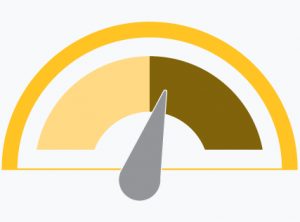 In fact, we found hospitals with ANCC Magnet status were 24 percent more likely than their peers to show improvement in both of these measures, according to federal data from the Centers for Medicare and Medicaid (CMS). Flattening this hierarchy doesn’t mean the end of administrative oversight, but it does require a newly measured approach to it. What emerged in our research was a “sweet spot” of administrative duties for nurses. Hospitals whose nurses average more than 25 percent of their shifts completing checklists and managing electronical medical records instead of patient are more likely to show weaker trends in improving on both dimensions. But so are hospitals whose nurses spend scarcely more than 10 percent of their time on the same tasks. Administrative oversight and an empowering culture for nurses can peacefully exist, but only if both are carefully balanced. To maintain the culture needed to treat patients and treat them well, providers can learn much from the physician-nurse interaction in the five hospitals we closely studied. Collaboration between doctors and nurses at the same rung on the ladder – Chief Nursing Officers and Chief Medical Officers or Medical Director – Nursing Director – is a longstanding best practice, but it’s not enough. In another forthcoming research4 on collaboration, we found that the best hospitals took this a step further, routinely pairing experienced, high-level nursing staff with low-level doctors, aiming to instill the importance of patient experience early in their careers. The reverse happens, too: One hospital, for example, paired a chief medical officer with an entry-level nurse and noted success in breaking down the hierarchy that can prevent nurses from speaking up. Taken together, these cross-level collaborations can drive major gains in the improving both the clinical and patient experience measures that matter most. These crucial collaborations can take many forms. Hospitals we studied reported placing nursing leaders on physician-hiring committees or sending medical directors to work with nurses on day-to-day tasks. One even borrowed from iconic General Electric CEO Jack Welch, issuing a “get on board or get out” policy for its new collaborative culture. These surely move the needle, but they’re also formal measures that “force” physician-nurse interactions. The most successful hospitals see these collaborations form and grow organically, whether it’s nurses inviting physicians to their meetings or informal touch-base discussions in hallways. These connections might not be in the service of scratching another item off a checklist, but their impact can be just as powerful. C. Senot, A. Chandrasekaran, P. Ward, A. Tucker, and S. Moffat-Bruce, “The Impact of Combining Conformance Quality and Experiential Quality on Readmissions and Cost Performance,” Management Science (2016). 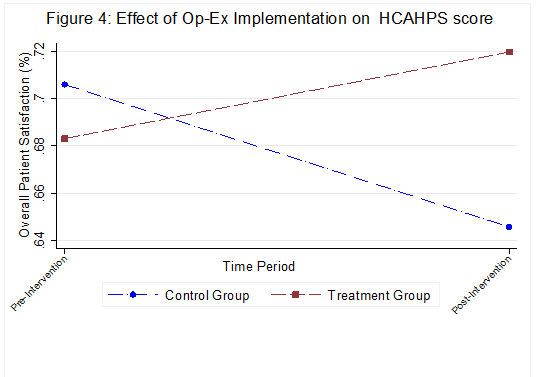 A. Chandrasekaran, C. Senot, K. Boyer, “Process Management Impact on Clinical and Experiential Quality: Managing Tensions Between Safe and Patient-Centered Healthcare,” Manufacturing and Service Operations Management 14, no. 4 (2012): 548-566. C. Senot, A. Chandrasekaran, P. Ward. 2016. 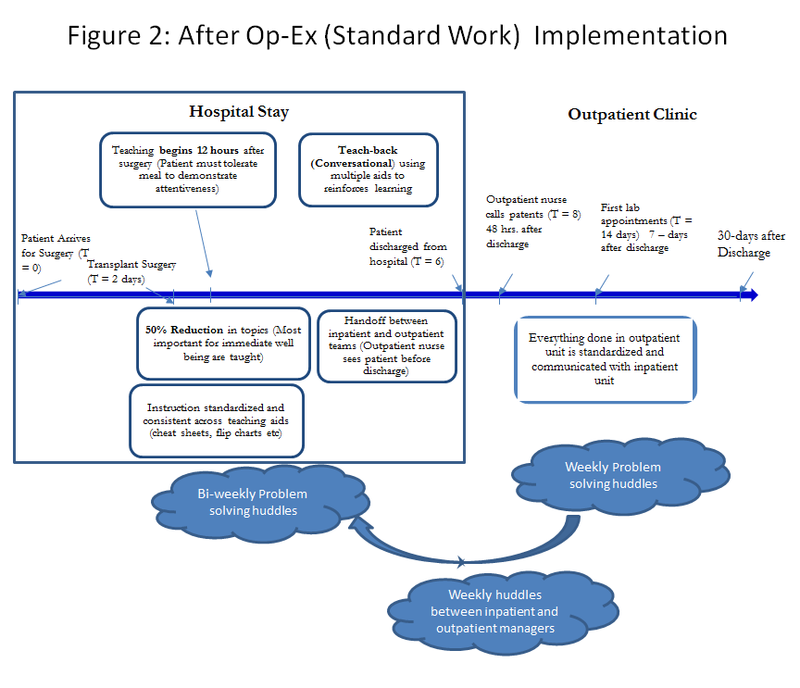 Collaboration between Service Professionals during the Delivery of Health Care: Evidence from a Multiple- Case Study in U.S. Hospitals. Forthcoming in Journal of Operations Management.